Dallas will host the Americas leg on September 19 and 20, 2018. 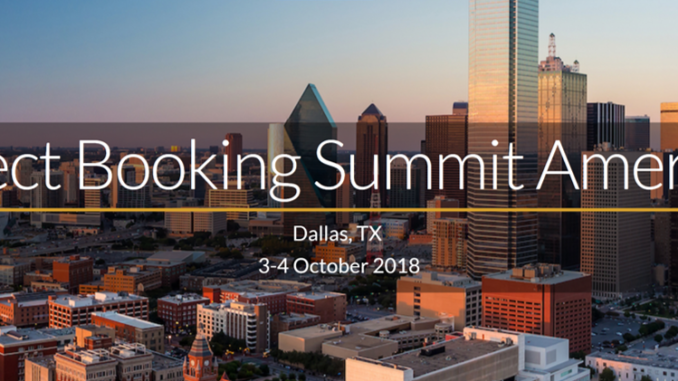 The Direct Booking Summit has become one of the industry’s must-attend events. It brings together hundreds of hoteliers, from savvy independents to those from world-leading brands, to strategise, network and drive the Direct Booking Movement forward. The series will kick off in Europe, with a two-day conference in Amsterdam on June 27 and 28, 2018. Dallas will then host the Americas leg on September 19 and 20, 2018. Finally, the first Direct Booking Summit: Asia-Pacific will take place in Singapore in early 2019. The Direct Booking Summit has one mission: to help hotels increase direct bookings. The closed-door event for hoteliers and their friends is a place to learn from experts and peers, share best practices and set the agenda for the industry. In 2017, nearly 430 people attended the summit series and its 49 talks, panels and workshops.